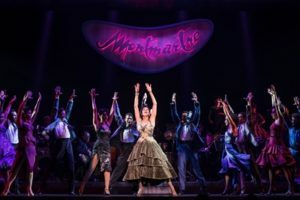 Summer Broadway series at Starlight shook the rafters with Cuban music as “On Your Feet” the story of Gloria and Emilio Estefan’s rise from plain Miami music to chart-topping entertainers opened on Tuesday, March 22, under a beautiful starlight night. Starlight’s season also welcomed four newly added fans to help circulate air for those sweltering evenings when Starlight can feel like a pressure cooker. The fans aim to provide constant air flow through the amphitheater for the season, filled with Broadway shows and concerts. 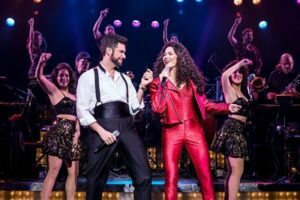 “On Your Feet” recounts the story of Glorita, as she is called by the family, from her childhood through her recovery from a near-fatal bus accident that almost left her paralyzed. The story focuses predominately on her relationship with her mother, Gloria, and her inspiration/husband, Emilio who push and guided her career. As an unknown Latin singer, the band and Gloria were not receiving a lot of success. But when Gloria combined the Cuban rhythms with American lyrics, her career and that of the Miami Sound Machine skyrocketed to the top of the charts. 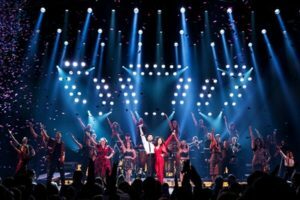 The music absolutely tells the story in this production and, Rich Baker, Starlight CEO, said in a pre-curtain announcement that several original members of the Miami Sound Machine were traveling and playing with the show. That’s pretty authentic for the sound needed for this show. Give credit to the music and the dance in this show for keeping the action moving. 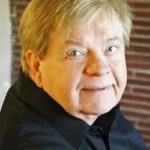 There is just not a lot of compelling story to create a Broadway musical for this piece. Those who know Estefan’s story already know she skyrocketed to chart topper with a series of Cuban/Latin songs, most specifically, “Conga.” Most know she almost died in a bus accident and that her life balanced on a thread for awhile. Surgery for her was risky and extensive. The show reveals that it was quite possible she might never walk if the surgery was not precise and successful. 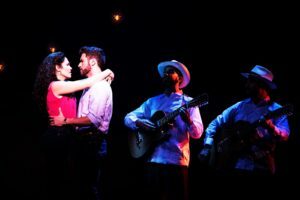 “On Your Feet” does tell of Estefan’s courage and drive to continually push forward, but also shows the underlying passive/aggressive nature of her husband Emilio who was never satisfied and always wanted more. That nature is shown in the show, but one would have to look carefully to see the pressures of his drive for excellence. Even though the script of the show does not generate a lot of interest, the lead characters absolutely stand out. Christie Prades and Mauricio Martinez deliver strong vocal performances that just ring through the large Starlight venue. Both possess beautiful, resonate voices and their vocals are among the best of the last few seasons at Starlight. Costumes also stand out along with the dancing. The dance ensemble performs intricate steps and gyrations to the up-tempo music and make it appear second nature. The colors in the costumes also reflect the Latin culture as well as the tight cut of most clothing/dance pieces. 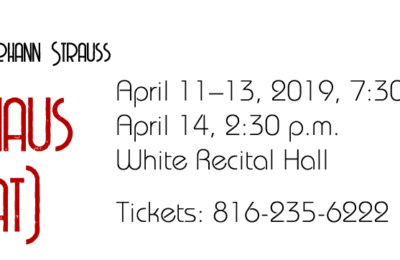 Those who especially enjoy the music of Gloria Estefan and the Miami Sound Machine will enjoy this production. Personally, I thought Starlight was too large of a venue. 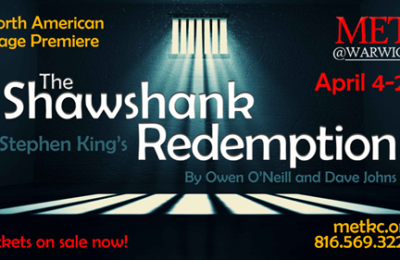 I think a smaller, enclosed theater would make this musical more intimate and make the audience jump with joy. As large as Starlight is, many were seated in the center section and all the way to the top of the theater. A more compact auditorium would have made “On Your Feet” more electric with fans. 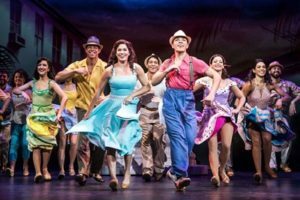 “On Your Feet” continues through Sunday at Kansas City’s Starlight Theatre. Tickets, parking passes, and dinner reservations may be found on the Starlight website.